An international research effort headed by scientists from the Danish iPSYCH initiative and the Broad Institute has identified the first common genetic risk factors for autism spectrum disorder (ASD). The genome-wide association meta-analysis, involving more than 18,000 individuals with ASD and nearly 30,000 controls, also identified genetic variations between different types of autism. The researchers suggest their findings could ultimately lead to new diagnostic and therapeutic approaches. ASD is an umbrella term for a group of “highly heritable and heterogeneous” neurodevelopmental disorders that are characterized by impaired social and communication skills, together with repetitive and restrictive behaviors, the authors explained. The disorder is diagnosed in more than 1% of children, and may feature severe intellectual disability (ID), or above-average intelligence quotient (IQ) and high academic functioning. Although the collective effects of many common genetic variants are believed to underpin ASD susceptibility, “to date no individual variants have been robustly associated with ASD,” the authors pointed out. The largest previously reported genome-wide association study (GWAS) involving 7,387 cases provided evidence that the common variants impacts on disease risk, but couldn’t conclusively identify single variants. “These results underscore that common variants, as in other complex diseases such as schizophrenia, individually have low impact and that a substantial scale-up in sample numbers would be needed,” the researchers suggested. For their reported study the team turned to data from the Danish national iPSYCH project, which was established in 2012 to carry out research into five of the most serious psychological and psychiatric disorders, schizophrenia, bipolar disorder, ASD, attention deficit hyperactivity disorder (ADHD), and depression. The initiative is evaluating genetic and other risk factors in more 80,000 individuals in Denmark with and without mental disorders. The researchers’ primary analysis, comparing the genomes of 18,381 individuals with ASD and another 27,969 controls, identified five genome-wide-significant loci associated with ASD. “In this study we have examined all the approximately nine million frequent variants that can be found in the genome of the people who are included in our study,” Grove added. “These are genetic variants which are common in the population at large and where the individual variant's contribution to the risk is very small.” The team then broadened their study to include GWAS data on schizophrenia, major depression, and educational attainment, “three phenotypes with significantly overlapping genetic architectures,” and identified seven additional regions. Interestingly, there was a correlation between ASD and positive cognitive characteristics such as educational attainment and IQ, but not across all subtypes of ASD. “In particular, the excess of alleles associated with higher intelligence and educational attainment was observed only in the higher-functioning categories (particularly in individuals with Asperger’s syndrome and individuals without comorbid ID) …” the researchers commented. 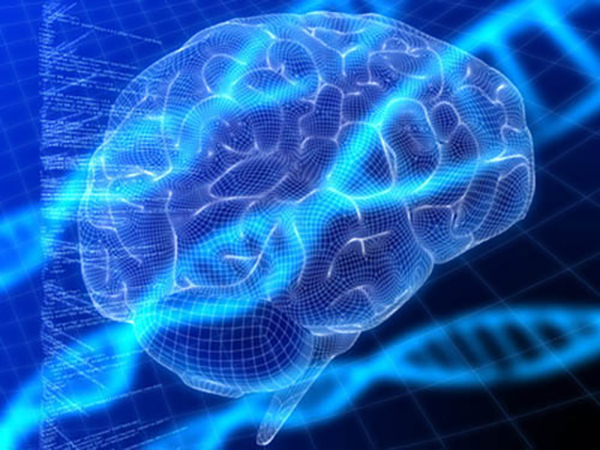 “By comparing the genetic risk variants with the genes' expression and the 3D structure of the genome in the developing brain, we can show that the identified risk genes are important for the development of the brain and in particular the development of the cerebral cortex,” Børglum commented. In total, the studies and analyses combined the iPHSYCH cohort data with results from an additional 5,305 individuals with autism and 5,305 controls from an international multi-center study under the auspices of The Psychiatric Genomics Consortium. A follow-up was also carried out on 2,119 people with autism and 142,379 controls from cohorts including individuals in the deCODE resource in Iceland.